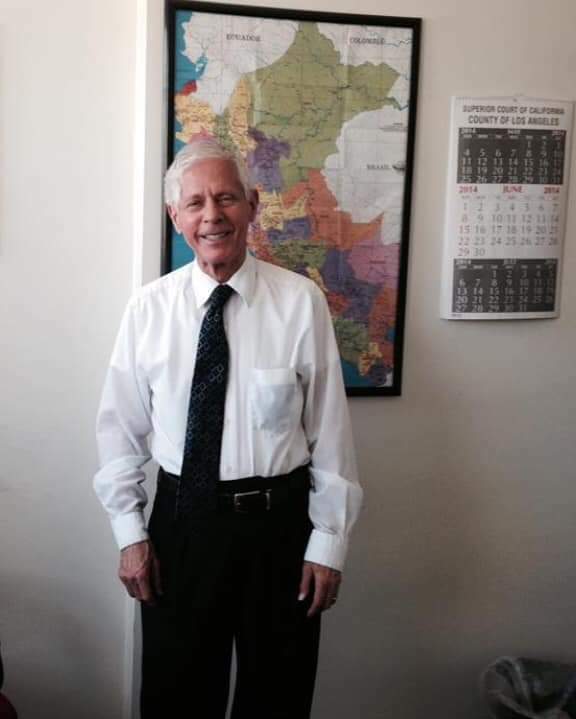 Los Angeles _ Ralph Schurr, a venerable and beloved Spanish interpreter, passed away March 20, 2019 after battling an illness. He was 81. 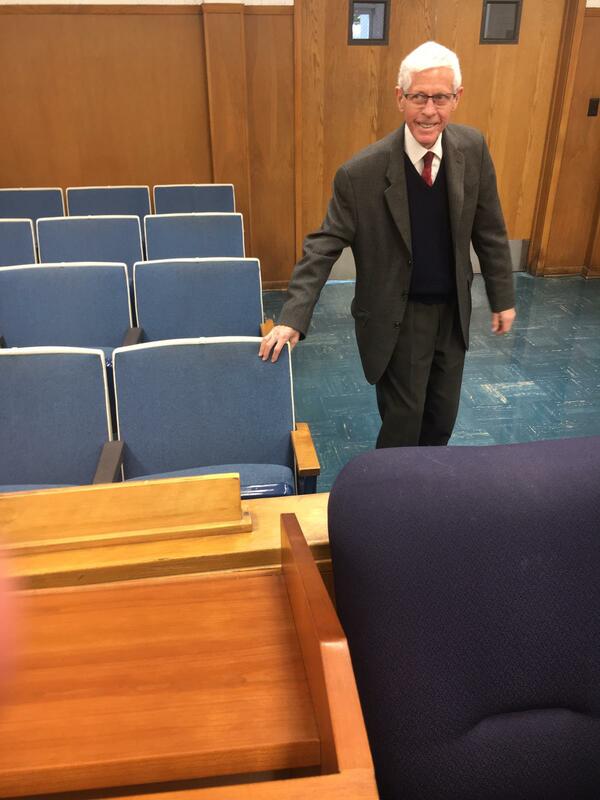 Ralph served the Los Angeles Superior Court for nearly three decades, most of that time at Inglewood Juvenile Courthouse, before retiring at the end of 2019. He contributed his time and talent as a steward for the California Federation of Interpreters and by extending his guidance and assistance to countless colleagues. “Ralph was a caring, hardworking and patient coworker and friend. He was always willing to help, willing to share and willing to do everything in his power to have a very pleasant work environment,” said colleague Marina Sastre. With his distinguishing silver hair, Ralph was a gentleman with a strikingly playful side who enjoyed dancing. He was a man of infinite curiosity who loved to read, travel and learn new things. In addition to Spanish, he studied Italian and mastered a number of phrases in various languages. Before becoming an interpreter, he had worked at a toy store in Pacific Palisades. Ralph, who was born in Santa Monica, had been looking forward to spending his retirement both in Peru, his wife Eva’s birthplace, and in California. “Ralph is missed greatly but will always remain in our hearts,” said Sastre. Visitation is schedule from 4 p.m. to 9 p.m. Wednesday, March 27 at Forest Lawn in the main Mortuary Building (1712 S. Glendale Ave.). Services are scheduled for 10 a.m. Thursday, March 28 at the Little Church of Flowers (1712 S. Glendale Ave.) in Glendale. CWA’s Temporary Administration of CFI Local 39000 will be ending at the end of June following a new election for local officers and Executive Committee members. This decision follows a US Department of Labor review of the Trusteeship. The DOL review found that the imposition of Temporary Administration (Trusteeship) by the CWA was lawful, but that the original purpose of the Trusteeship – failure to pay per capitas to the national union – had been corrected. In discussion with the DOL, CWA explained that the Trusteeship had been prolonged by charges against many of the local officers and Executive Committee members who were elected in 2018. CWA did not want to interfere with their due process rights by moving to elections while appeals and trials were still pending. The appeals would have been resolved at the CWA Convention in July and the plan had been to return the CFI to self-governance at that point. CWA also reviewed with the DOL serious issues of financial malfeasance that were discovered after the Trusteeship was imposed, including misappropriation of money, a lack of financial records and the lack of financial controls. It was suggested that the CWA could end the current Trusteeship and immediately impose a new one to deal with the financial issues. CWA rejected this idea. CWA proposed that it conduct new elections and turn the local over to local control as soon as possible. CWA also proposed a timeline for these elections to the DOL. The DOL agreed to this plan and the timeline that CWA proposed. One of the unfortunate aspects of this is that individuals who where elected in 2018, who were not charged with misconduct, will have to run again in order to serve. Nomination for local officers and Executive Committee seats will begin immediately, with secret ballot elections for contested seats to follow. Combining the positions of Secretary and Treasurer into a single Secretary-Treasurer position. Setting the initial term of office to run through the end of 2021, to put the local back on its two-year election cycle. Barring anyone expelled from membership from holding office, being employed by the local or working as a consultant for the local. Requiring approval the CWA Executive Board to readmit to membership anyone expelled from membership. Prohibiting the executive committee from blanket delegation of financial controls to one individual. Requiring elected local officers and Executive Committee members to attend training conducted by the CWA within three months of taking office. Keeping Ed Venegas employed as a local employee through the end of the year to assist in the transition to member control. SAN FRANCISCO _ Despite caution voiced by interpreters, the Judicial Council approved minimum technology guidelines on Video Remote Interpreting for California courts and voted to establish a VRI program for the judicial branch during its March meeting. In response, CFI members are working on legislative efforts to establish strong parameters and oversight for VRI in the courts and other ancillary services. The adopted guidelines are not a requirement for courts but rather a suggested minimum standard, said David Yamasaki, a member of the VRI Workstream group and Court Executive Officer of the Orange County Superior Court. CFI is not against the limited use of VRI for brief, non-evidentiary and non-complex court hearings when in-person interpreters are not available or to expand language access outside the courtroom, particularly in the interview processes necessary to later in-court proceedings. “CFI is against misuse of VRI. We are against utilizing VRI in a way that diminishes meaningful access for Limited English Proficient court users or violates their due process. We are against using VRI for cutting costs at the expense of effective and accurate communication. We are against using VRI so that courts can avoid sharing interpreter resources,” CFI Representative Anabelle Garay told the Council. During the meeting Friday, Yamasaki characterized the concerns expressed by interpreters and CFI as bargaining issues and added that other interpreter suggestions would become part of a document on best practices being prepared by the National Center for State Courts. The recommendations to adopt VRI and related guidelines were based on the findings the VRI pilot project carried out last year in Sacramento, Merced and Ventura courts. San Diego State University Research Foundation evaluated the pilot by collecting short surveys from bench officers,interpreters[MF1] [AG2] , limited-English proficient (LEP) court users, and court staff. · cost savings of using VRI could not be evaluated since employee interpreters were used in the pilot program. “A much better use of funds would be to invest in growing a solid interpreter workforce so that in-person interpreters are readily available,” said San Mateo Court Interpreter Carol Palacio, who is part of the Region 2 committee that will meet and confer on VRI. Interpreters who participated in the pilot program expressed concerns as to whether there were inaccuracies and omissions. They pointed out that VRI is highly prone to error, takes longer than in-person interpreting, and has many technical problems. VRI also adds another layer of difficulty to interpreters’ work by asking us to operate equipment that otherwise would not exist with in-person interpreting. CFI also questions whether the surveys given to interpreters could meaningfully measure a VRI event’s efficacy. During the first week of the pilot a 3-page survey was used but it was later parsed down to 5 questions. Interpreters who participated in the pilot admitted that there was not enough time to fill out the surveys given there was only 5 minutes or less between VRI events. Region 4 is currently bargaining over VRI and Region 2 is expected to meet and confer on VRI soon. Region 3 Courts have a side letter on VRI with CFI. [MF1]There is doubt as to whether the surveys given to interpreters were a meaningful measure of VRI event efficacy; for the first week of the pilot the VRI interpreter was given a 3-page survey, and at some moment thereafter it was parsed down to 5 questions on a sheet of paper. Our members who participated in the pilot admitted that there was not enough time to fill them out, or they simply neglected to fill out the survey … given there was only 5 minutes or less between VRI events. At best, survey completion was hit-and-miss among the interpreters. [MF3]According to Tyler Nguyen, Angie Birchfield, and other participants in the pilot, interpreters were not interviewed or surveyed at the end or after the pilot project. The focus and energy in the past two bargaining sessions has been on VRI. VRI is already being implemented by the courts; therefore, our focus at the table is not to fight against its implementation, but rather, to put together some strong guidelines when using VRI that will do some damage control to our profession and code of ethics. You Bargaining Team proposed an additional stipend of 25% for any day that the interpreter performs VRI. The courts presented a counter proposal of a 15% stipend during the Orange County bargaining session. Your Bargaining Team is working on a response to the Court’s counter proposal. Your Bargaining Team is aware of the impact VRI will have on our profession; therefore, we have been working and will continue to work diligently to take into account all possible impacts. The courts have not responded to our last counter proposal for a 23% wage increase. Your Bargaining Team does not plan reaching a tentative agreement on VRI until we get more momentum going with the wage proposals. Another pending topic is team interpreting. Your Bargaining Team wants to encourage you to follow the Team Interpreting Standard Best Practices. Doing a trial or long hearing without team interpreting is not only detrimental to the quality of the interpretation that we provide but also to our profession –it reduces the need for more interpreters. If you do not know what the Team Interpreting Standard Best Practices are, please contact your steward and ask for a copy. We are down to our most important topics: TEAM INTERPRETING, VRI AND WAGES. Your Bargaining Team needs your full support now more than ever to achieve the best contract possible for ALL. Our unity is our strength: By presenting a united front before administration we show our power. A big “Thank you!” to all interpreters who participated in the “Watch and Support” during the last two bargaining sessions. We encourage you to attend the negotiations. If you will be participating in the Watch & Support, please submit your time off request today and email us at [email protected]to reserve your spot. Our next bargaining session is scheduled for April 22, 2019. Location TBD. Please support your bargaining team by wearing red on the days we are at the table and also every Wednesday. In union there is strength. It’s the “U” and “I” in union that makes us strong. n August of this year, in line with Recommendation 74 of the Language Access Plan, the Judicial Council formed the Interpreter Act Working Group; it was composed of court CEO’s, Judicial Council administrators and staff from the Court Interpreter Program, as well as both independent and union member employee interpreters. The Working Group was charged with reviewing and offering perspective on the present state of the Trial Court Interpreter Employment and Labor Relations Act, now incorporated into the California Government Code under Title 8, Chapter 7.5, Sections 71800 – 71829. The specific focus in the process was the four Region bargaining structure, the 100- & 45-Day Rule, and the Cross-assignment system. The Working Group’s co-chairs, Judge Austin, formerly the chair of the Court Interpreter Advisory Group, and Kim Turner, Mendocino Superior Court CEO, explained that these specific topics had come to be on the group’s agenda because of commentary and inquiries from “shareholders” to language access in the courts. It should be noted that the Interpreter Act Working Group basically was a gathering for brainstorming ideas and perceptions about how these points in the interpreter law were functioning; the group was to determine whether these points in the law addressed the issue of language well, poorly, or so badly there must be a change, and whether that change requires a slight amendment to the law, or completely changing how the focus subject is handled within language access law. The group had the ability to make recommendations, but because of disparity in certain points of view and opinions, no recommendation was offered; instead the group compiled a summation of the variation, conflict, and agreement among the participant’s views as they relate to each one of the topics covered. During the initial meeting of the Interpreter Act Working Group during the summer of 2017 there was commentary and questions raised concerning the lack of union member employee interpreters at the discussion. At the strong behest of a coalition of stakeholders, a total of five interpreters came to participate – four from CFI Local 39000, and one from Interpreter Guild of America, a unit in Local 39521.There was value to the court interpreter union’s involvement, and value in our knowledge-base. This could be a step toward a more positive relationship between the Judicial Council and union member interpreters, the mainstays of providing language access in the courts. The feel during meetingswas welcoming, and non-interpreter participants were genuinely interested in the interpreter perspective; all interpreters who participated felt that we were accepted as equals at the roundtable of expertise. However, we had no illusions; we well knew that there would be disagreement, if not conflict on some of the issues, and the possibility that there would not be room for compromise on some of the discussion topics. Both union member employee interpreter (CFI Local 39000) and independent contractor (Interpreter Guild of America) collaborated, not only during the meetings, but in preparation video chats before the scheduled phone calls. The result is aligning our combined perspective on the working group’s focus points. The attending court CEO’s and Language Access Services offices around the states presented the complaint that there are not enough certified/registered interpreters to service the needs of the courts; additionally, rural courts are found to have an even more dire need. The argument was that revoking the 100-day rule would remove the restraint against using independent contractors past the hundredth day, thereby creating a much larger pool to service the courts’ language needs. The interpreter response was that because of marginal requirements to offer employment after the 45thday, there could be something that would truly increase interpreter resources, such as offering a full-time position after a longer period of providing services as an independent contractor. The consensus within the Working Group is that the cross-assignment system is working well in some jurisdictions/regions and is inadequately meeting the language access needs in others. The large urban courts with more interpreter resources become the provider courts to those with fewer interpreters on the rosters, or varied language groups to choose from. There is a reticence on the part of resource-flush courts to share their interpreter pool, as presently it is difficult to know what their needs are far enough in advance to confidently share. Also problematic in cross-assigning is that the administrative procedures are cumbersome; centralizing the coordination toward state-wide collaboration could improve efficiencies; there was agreement that fixing this could go a long way toward better interpreter resource sharing. In the cross-assignment system enable earlier authorization of release from the home court instead of the day before; anywhere from 2 to 5 days prior was held out as an example. All courts be willing to cross-assign any category of interpreter, whether full-time, part-time, or intermittent. In line with the Interpreter Act, courts (particularly provider courts) create full-time positions with the requisite that if not used at the home court, the interpreter would be cross-assigned. Provider courts should be given incentives to create these positions, as well as offer incentives to interpreters recruited into these positions. Consider making interpreters State employees, thereby allowing for sharing resources statewide, with centralized coordination. The impetus for initiating this series of meetings was to address the regional bargaining structure; this was the issue on which the group spent the lion’s share of time. Regional bargaining is complicated for the Union in that, although there was some uniformity throughout the different contracts, there was enough disparity to cause most interpreters to gravitate toward regions with more favorable conditions, resulting in shortages in other areas of the state. All agreed that this structure is costly for all participants, rehashing the same issues with varying results for both courts and interpreters. Although most of the participants expressed that a general state-wide contract would be preferable to the present system, the court representatives from Los Angeles and San Diego stated that they would rather be separated from any statewide structure, and bargain directly with the interpreters locally, unencumbered by other jurisdictions. Most shocking was San Diego’s suggestion that the interpreters simply be placed into the existing unions (SEIU, AFSCME) to simplify negotiations; the Union reminded the San Diego representative that union affiliation is determined by the interpreters, not local court administration. The interpreters present made it clear that CFI Local 39000 TNG-CWA is the representative of all employee interpreters in California, whether that structure be regional, or statewide.Searching for a compromise, the staff leading the discussion suggested a “hybrid,” allowing the larger courts to opt-out and negotiate separate from other “regions” composed of the smaller jurisdictions. The interpreters clearly rejected the concept, mostly because in practice there is no change from the regional structure, just different names, and possibly even more groups with whom to carry out bargaining. The hybrid version is not a solution for anyone, save Los Angeles and San Diego. There is a high level of investment in local pensions plans; it is not clear if one could keep their present plan and benefits, or would one have to transfer into a State of California plan. The consensus is that a transition period would be needed to address this issue; there was a positive view for allowing present interpreters decide which benefit set is preferred. It is unclear how to handle issues of seniority and standardizing pay scales; some jurisdictions have steps, while others do not. 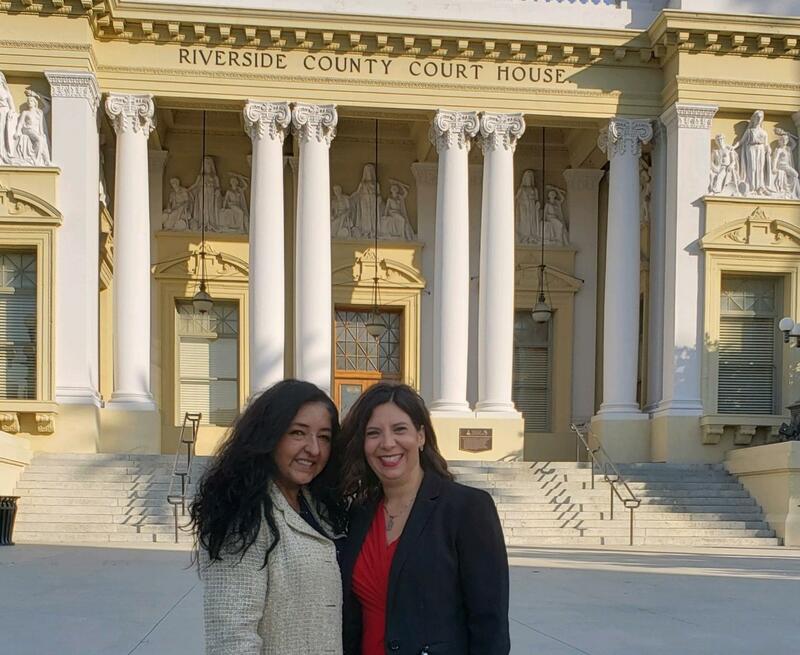 As part of going to a statewide structure for bargaining, if interpreters are then made state employees, one issue is whether they will be required to relocate to address needs, similar to what is standard for other employees in the judicial system, such as judges. There are any number of complexities in consolidating the present four contracts into one statewide general contract. One consideration is to have a general contract that addresses the basic labor issues – salary, seniority, etc. – and then handle issues unique and specific to each jurisdiction via side letters. When pressed on that detail, the jurisdictions present did not identify the “unique/specific issues.” The result of a hybrid system could be an even larger number of sessions of meet & confer/negotiating. A consistent base pay for interpreters, regardless of where located throughout the state. Interpreters who were reluctant to relocate because of impact to pay and/or benefits would not be constrained by these sorts of factors. More flexibility to relocate throughout the state. Consistency and uniformity in benefits and pensions, regardless of where located throughout the state. The “middle man” would be eliminated in interpreter budget considerations during the bargaining process; the state sets the budget and would be the entity with whom we directly negotiate, without the need to have the different judicial court entities involved (and possibly being obstructionist). All parties involved in the negotiating process would save money with a statewide approach. One singular advantage for the Union is that the entire local would be involved in bargaining; there is strength in numbers, and our impact on bargaining would be enhanced by focusing statewide, martialing our membership statewide, and getting results that are statewide. In a nutshell, more leverage. In conclusion, what are we, both as court interpreters and union members, to understand from all this? Firstly, this is only a beginning that is basically a brainstorming of ideas and opinions; this Interpreter Act Working Group has compiled information to be presented to the Judicial Council, without any specific recommendations, as the group could not come to consensus as to endorsements for any course of action. We should understand that there are some notable differences of perspectives between courts and court interpreters regarding the Working Group’s subject matter, likewise, there are similar gaps in the viewpoints between the varying jurisdictions. Union member representatives are collaborating with other sectors of certified interpreters to represent our members’ labor and professional interests at the Judicial Council. Moreover, the definitive decision as to how courts function is decided by elected representatives in the legislature, not the Judicial Council. We will have to be vigilant as to where the Judicial Council goes with this information; having a good legislative agenda and coordinated, focused lobbying efforts in the coming years will be key toward guiding Judicial Council policies and musings in a direction that brings meaningful language access to the courts, as well as protect our labor rights and professional tenets. A complete list of all participants is attached. Except for a one-day in person meeting at the Judicial Council offices, all others were telephonic during the lunch hour. By law the counties of Solano and Ventura are excluded; this was a compromise, as employee interpreters there were already represented by other unions.